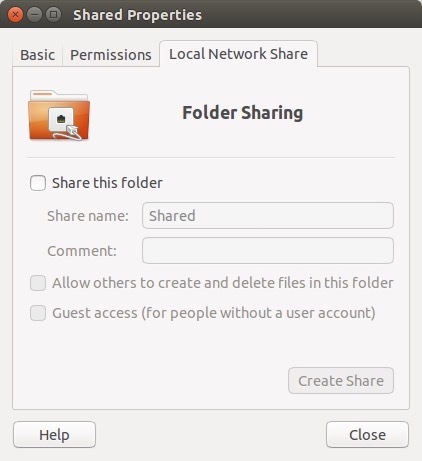 Ubuntu file sharing with Apple computers over a network is fairly easy. Follow these steps. Right click on the folder you’d like to share. Choose Properties, and then click on the Local Network Share tab. Confirm to install the additional software. Provide your password to Authenticate. Once the installation is complete, you can share the folder. Currently, something odd is happening between Ubuntu 14.1 and Apple 10.10 (Yosemite). It’s believed that Apple has implemented a version of SMB (file sharing) that does communicate properly with Ubuntu. Normally it would be possible to setup the folder to be accessible based on user accounts. However, attempting to login using one of the Linux user account names and password will fail. If you click on the bottom two boxes above, sharing will then work properly. 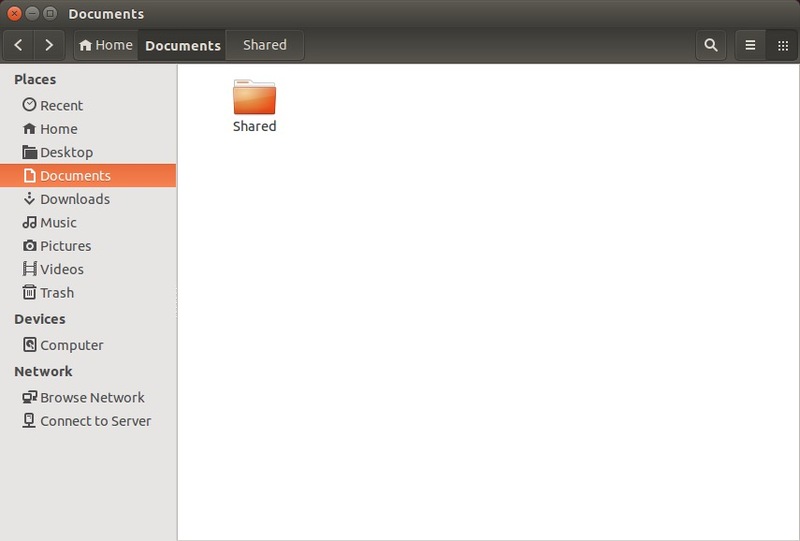 Follow these instructions to access the shared Ubuntu folder. On the Apple computer, press command+k (or from the Go menu in Finder, choose Go to server). Type in //ServerName/SharedFolder and press Enter. Choose Connect as Guest access (for some reason entering a username doesn’t work). The shared folder should now be accessible.